Eliezer and Rebecca at the Well is to be officially gifted to the Musée du Louvre by Thomas Kaplan and Daphne Recanati Kaplan. The work was painted by Ferdinand Bol (1616–1680), one of Rembrandt’s most talented pupils. Acquired by the Kaplans in 2009, the work has been on loan to the Louvre’s Dutch galleries since 2010. The Leiden Collection, assembled since 2003 by the American philanthropist and Francophile Thomas Kaplan (Chevalier of the Legion of Honor) and his wife, Daphne Recanati Kaplan, contains some 250 paintings and drawings by Rembrandt and several generations of his pupils among the Leiden fijnschilders. Since its inception, the Leiden Collection has loaned works on more than 170 occasions. 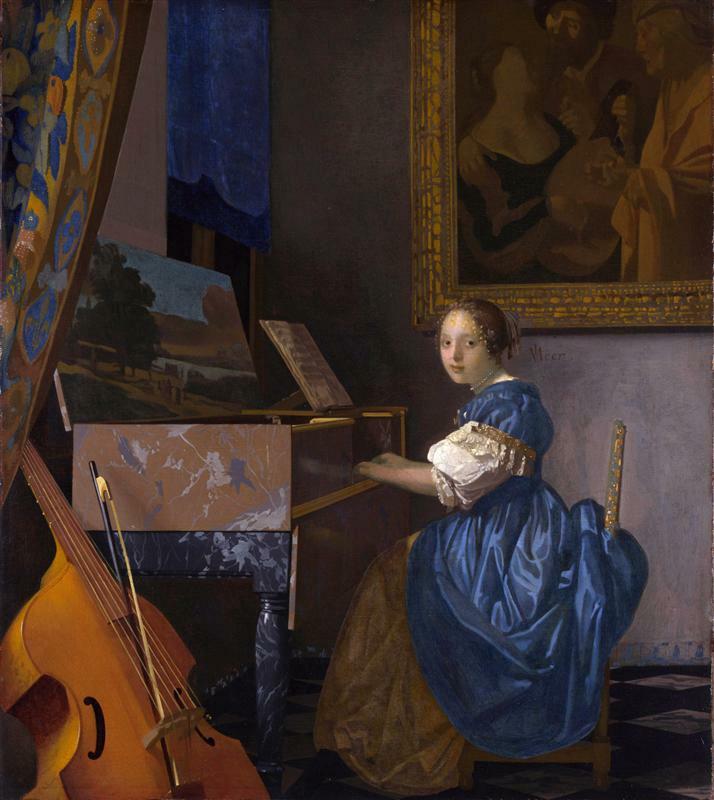 will also be shown at this exhibition focusing on Vermeer and the masters of genre painting.